“KingCommerce” is The All in ONE solution for SINGLE or MULTI Vendor Ecommerce Business Management System. This CMS Includes everything you need to make an ecommerce business and one of the BEST eCommerce store available in envato market. If you properly check all the functionalities of this online store then we can assure you that you will skip other best ecommerce platforms or online stores. KingCommerce has been developed for startups or individuals who can’t spend million dollars for marketing to run their business. We have added AFFILIATE MARKETING system in this online store so customers can market your store products to new customers and earn money. This feature will help you to market your store products without spending money. Your customers and visitors will be your marketers. This single feature will bring thousands of new customers and increas your store sales. This ecommerce software is developed to sell any kind of PHYSICAL, DIGITAL or LICENSE KEY in one single platform! 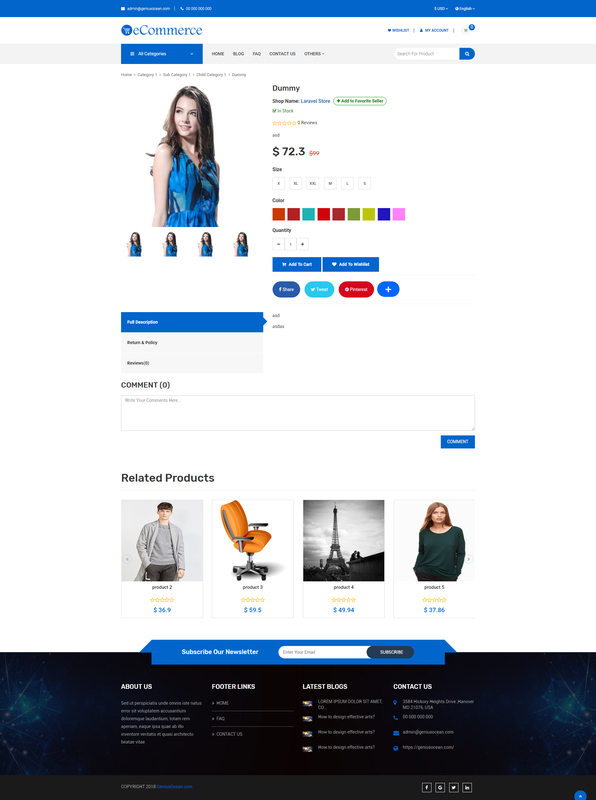 You can use this ecommerce script to make any kind of sopping website such as FASHION store, JWELLERY store, ORGANIC store, ELECTRONIC store, EBOOK store, SOFTWARE or GAME LICENSE key store anything! Your customers can select a pricing plan to become a vendor. You can create your pricing plan with days and product upload limitation. Every vendor will have their own shop page so that they will do marketing and your store will be promoted automatically. You can disable this feature from admin panel and use this system as a single vendor shopping store too!. The greatest feature of this ecommerce system is POWERFUL ADMIN PANEL! You can set anything without any kind of coding skills. 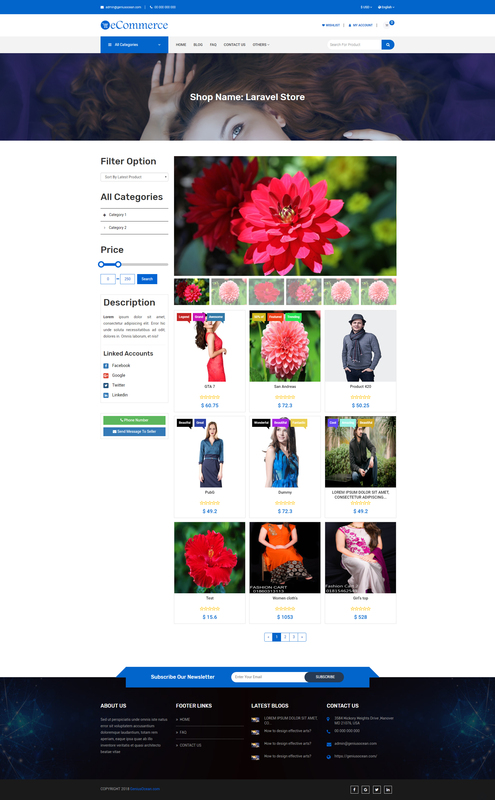 This PHP ecommerce script is developed using Laravel framework so It is very easy to extend and will not show any kind of errors anytime like wordpress, shopify or other CMS templates. All The Necessary Features of an eCommerce System are included. Many Features are coming soon! Please Check Website & Admin Demo. Feel free to contact us from our profile page for any new feature request, bug fix or customization.